The Iranian expatriate community, and those forced into exile following the Islamic Revolution, have created thriving communities across the globe. They have excelled in academia, art, culture, technology, finance, sciences, social affairs and politics. Through all these years their devotion to Iran, its history and culture, as well as its status in the community of nations, has endured and thrived. Following the confiscation of Kayhan Newspaper in Iran after the Islamic Revolution, its founder established Kayhan.London in 1984 to unite a community that was dispersed throughout five continents, by providing real news and information on Iran. A publication originally launched during the Second World War Tehran as a broadsheet of just four pages–eventually turning into the highest circulated newspaper in Iran–entered its second phase of operation outside the country. Contrary to popular belief, the title was not inspired by the newspaper Le Monde, meaning The World; Kayhan means the universe. In fact, the first edition of Kayhan was published in 1942, two years prior to the publication of Le Monde. Dr. Mostafa Mesbahzadeh, the founder of Kayhan, credited the title of the paper to Abdolrahman Faramarzi, the paper’s original publisher. 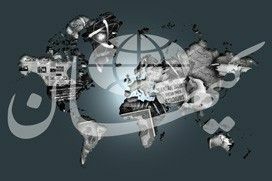 Publishing a Persian language newspaper outside of Iran and assuring its timely delivery to over 37 countries, before the advent of the internet and social media, was a colossal task. In most instances each copy of the newspaper was passed hand to hand. With the advent of the internet, the website of Kayhan grew to attract one million visitors. The majority of the visitors were from those inside Iran. Once the Iranian government expanded its censorship and filtering of the internet, visits to the website decreased dramatically, until thanks to filter-busting technology the site regained its popularity among Iranians. The paper observed the seventieth anniversary of its inception in Tehran and the thirtieth in exile, with its last print issue number 1466 on August 22, 2013, and began preparations for the launch ofwww.kayhan.london as an on-line newspaper. Continuing to defend freedom of the press and the liberal values of pluralism, including ethnic, sexual and religious diversity, and a culture of openness and tolerance, the site was launched on Norouz 2015. 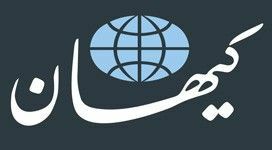 The new and improved publication is designed to serve as a bridge for communication among Iranians and fans of Iran everywhere. Kayhan.London covers current events and accounts by relying on first hand reports and in depth analysis. It is also a forum in which Iranians from almost every political or ideological persuasion can express their views and examine those of others. The site reflects the accomplishments and challenges, as well as hopes and dreams of a community separated by distance, but as one with its motherland. Kayhan.London relies on the expertise of journalists who have been forced to leave Iran and struggle to make a living in exile, irrespective of their age, gender, ethnicity, religion or personal beliefs. Its guideline is the high professional journalistic standards developed and defended, at times at great cost, over the decades, and a commitment to report the facts. Kayhan.London staff are currently working on two complementary projects. First, expanding an English website launched in 2016. Second, launching a digital archive of our publication, a continuous coverage of events and history over the past eight decades. This archive will serve as an invaluable resource for students and scholars of all backgrounds. Kayhan.London is a private, independent and professional entity. It is not subsidised or funded by any government or political body. Kayhan.London relies on the financial and moral support of both its new and loyal readers to play their part in preserving this pioneering voice in the world of independent Iranian press. We appeal to you for support. Engage with us, send us your comments, help us with new ideas and draw our attention to issues we might have missed. Advertise on our website and join us in our quest to protect diversity of news and views for a better world.